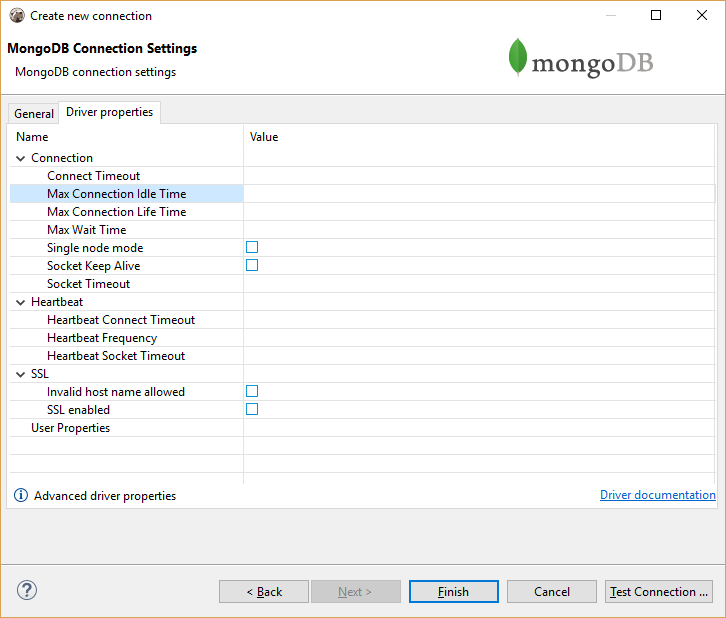 DBeaver uses MongoDB Java driver 3.8.0 to operate with server. 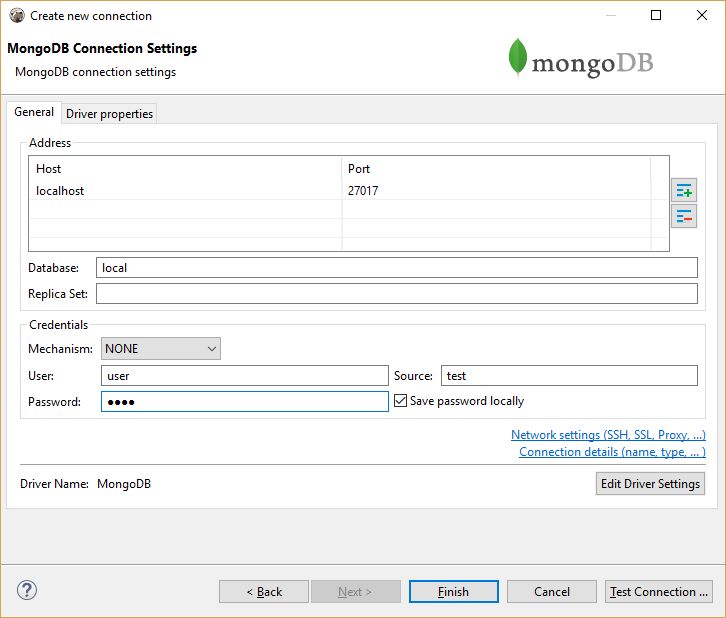 It supports MongoDB servers from 2.x to 4.x. You can connect directly to a server or use SSH tunneling or SOCKS proxy. 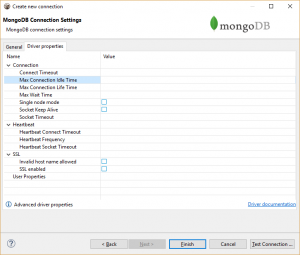 You can view/edit MongoDB collections content as standard relational tables (grid/plain text presentations) or as JSON documents. Presentation can be switched in the Results Viewer toolbar. 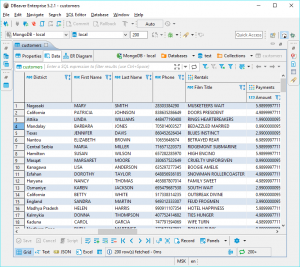 In grid DBeaver will try to unify all documents in some particular collection (as they have the same structure/the same set of properties). 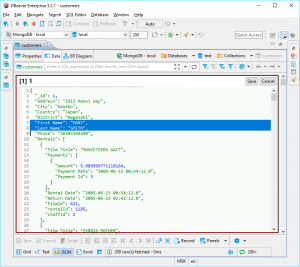 JS statements can be executed in SQL editor as usual. 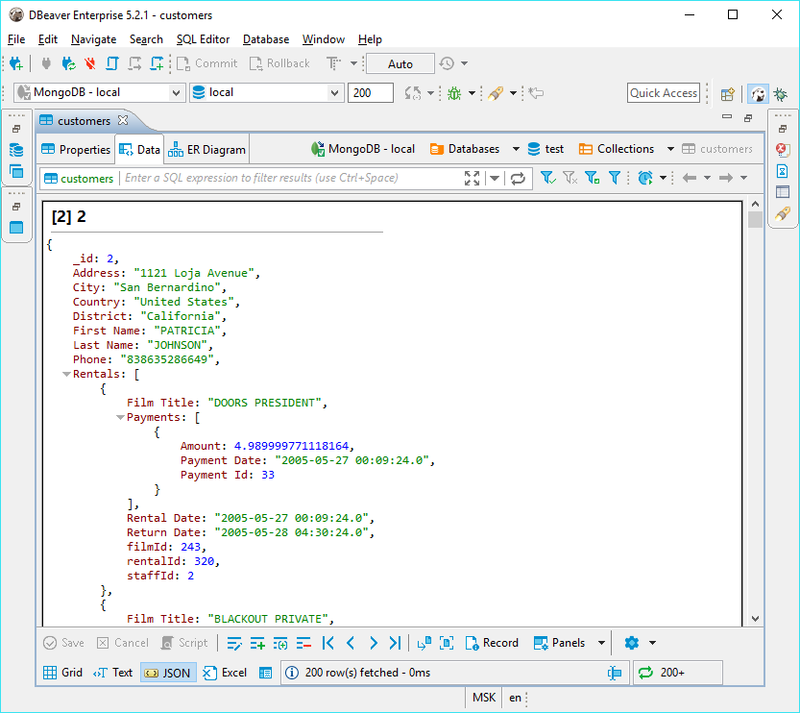 Mongo scripting reference Following example creates a user in the current database. Note: script will be executed in the current database. 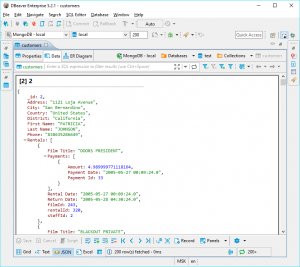 You can not set explicit database name in your query. 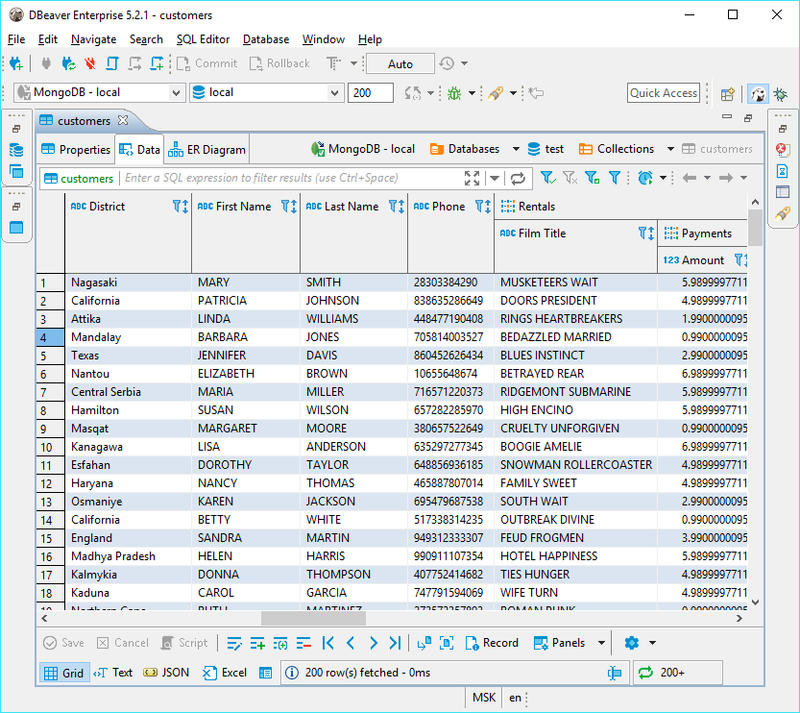 Current database can be changed in SQL Editor toolbar or in Database Navigator. 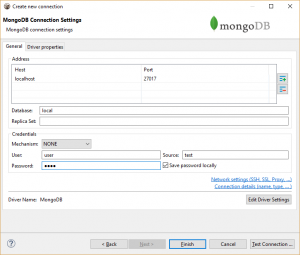 You can use standard SQL statements (SELECT, INSERT, UPDATE, DELETE) to manipulate Mongo data. 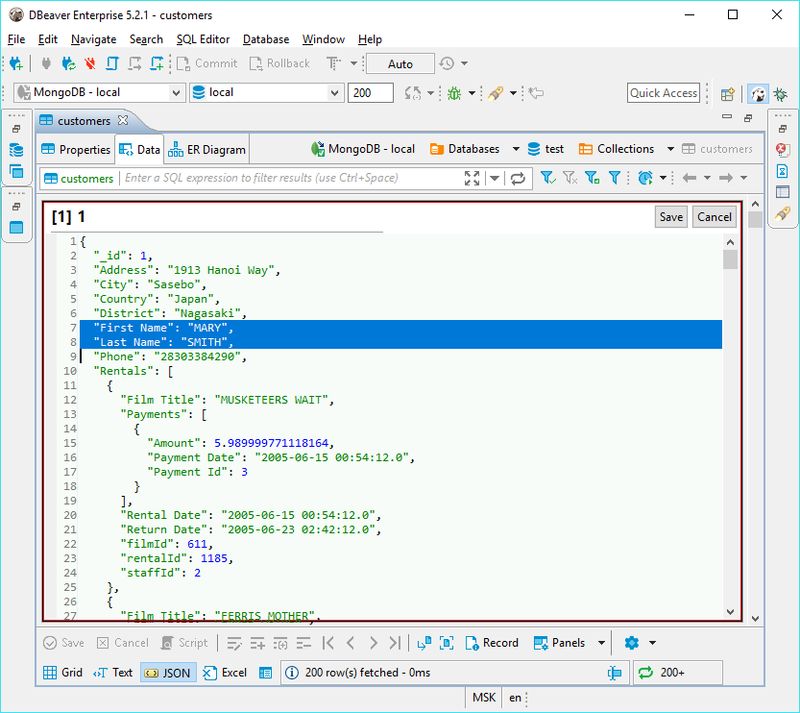 Nested JSON properties can be divided by dot.